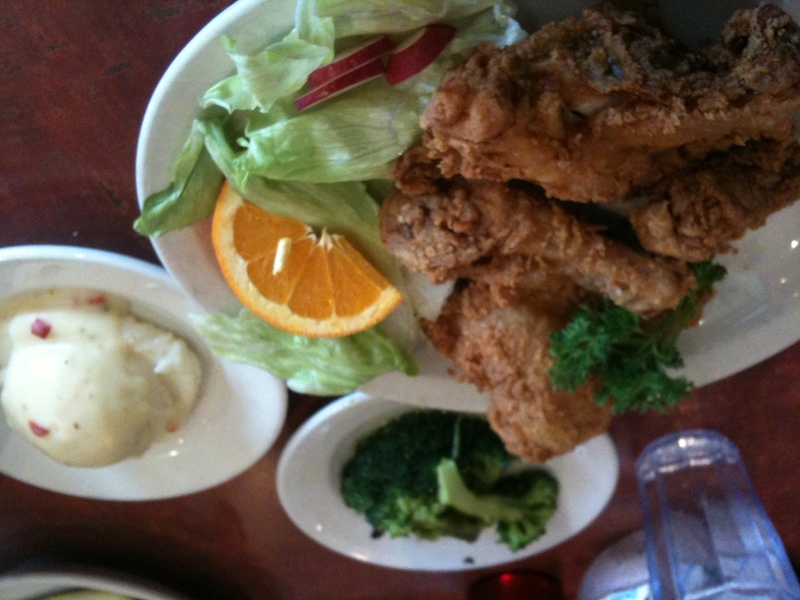 Heading back from a trip to Sandwich, Illinois, we stopped at Papa G’s in Elburn for lunch. It was a Sunday morning and we has a short wait for a table. The restaurant is bright, clean and airy. The specials of the day were cheese or vegetable lasagna. 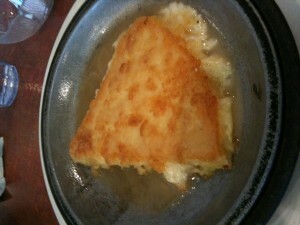 While perusing the menu, we ordered saganaki. 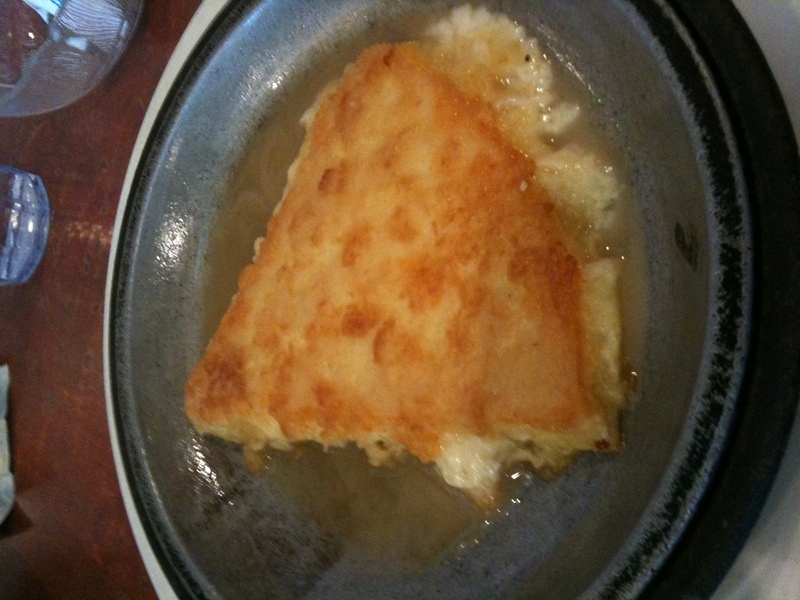 The cheese appetizer arrived hot, though not flamed at the table, as is common at many Greek restaurants. Accompanying bread basket selections included raisin bread hearty French bread, crackers, bread sticks, butter and jelly. Our server was friendly and helpful. Searching for a vegetarian choice, she offered to have the kitchen make a custom wrap using the veggies on hand and salad dressing. This was served with cottage cheese and French fries. Noel ordered fried chicken, mashed potatoes chicken gravy. The meal came with broccoli, tomato and orange slices. The large menu includes burgers, steak, Greek salads, pasta, chicken and Athenian steak includes some vegetarian items. A large party celebrated a family event in a separate room in the rear of the restaurant separated by glass doors. Papa G’s is also located in Huntley, Illinois.